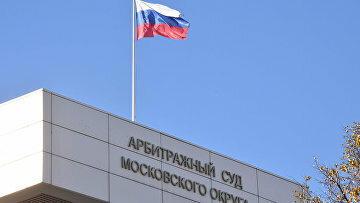 Moscow commercial court refuses to recover $5 million from Probusinessbank in cassation | Russian Legal Information Agency (RAPSI). MOSCOW, March 4 (RAPSI) – The Moscow District Commercial Court has upheld a lower court’s ruling refusing to recover over 327 million rubles (about $5 million) of losses from Probusinessbank in favor of two creditors of the bank, WAY M and NEO Engineering companies, the court’s ruling reads. On September 21 2018 the Moscow Commercial Court dismissed a lawsuit filed by the companies. Due to lack of evidence proving necessity of losses’ recovery as well as lack of proof for their existence and amount, the claim was dismissed by the court. Interests of Probusinessbank are represented by Russia’s Deposit Insurance Agency (DIA). Earlier, the court dismissed a motion filed by the DIA seeking the seizure of assets of nine former governing board members of Probusinessbank totaling to 68.5 billion rubles ($1 billion). The asset seizure motion has been lodged by the DIA as part of a petition for recovery of the bank’s debts from ex-top managers. The court ruled that the claimant had not furnished proof of necessity to adopt seize the defendant’s assets. According to the DIA, the bank’s bankruptcy examination revealed that Probusinessbank top managers funneled fluid assets out of the organization by lending companies, which did not carry on business consistent with credit levels and did not have their own property and corresponding incomes. Moreover, the bank management did not take measures to prevent the financial organization’s bankruptcy. In April 2017, ex-chief of the bank’s corporate finances department Nikolay Alekseyev was given 4 years in prison for embezzling 2.4 billion rubles (about $35 million at the current exchange rate) from the bank. Additionally, he was fined 1 million rubles (nearly $15,000). A court also granted a lawsuit filed by Probusinessbank seeking to collect over 2.4 billion rubles from the defendant. In June 2017, ex-head of Probusinessbank department responsible for interaction with shareholders and subsidiary companies Marina Krylova was sentenced to 3.5 years in a penal colony for assisting with embezzlement of 2.4 billion rubles. In December 2017, Moscow’s Ostankinsky District Court returned the case against former vice-president of Probusinessbank Vyacheslav Kazantsev and 7 other persons allegedly involved in embezzlement to prosecutors. According to investigators, from September 2014 to July 2015, the defendants conspired to embezzle funds belonging to Probusinessbank. Accomplices are believed to be unidentified managers and employees of the bank. They allegedly used their office positions to enroll their subordinates, employees of the financial group Life, and heads of sham companies. 11:05 04/03/2019 The Moscow District Commercial Court has upheld a lower court’s ruling refusing to recover over 327 million rubles (about $5 million) of losses from Probusinessbank in favor of two creditors of the bank.